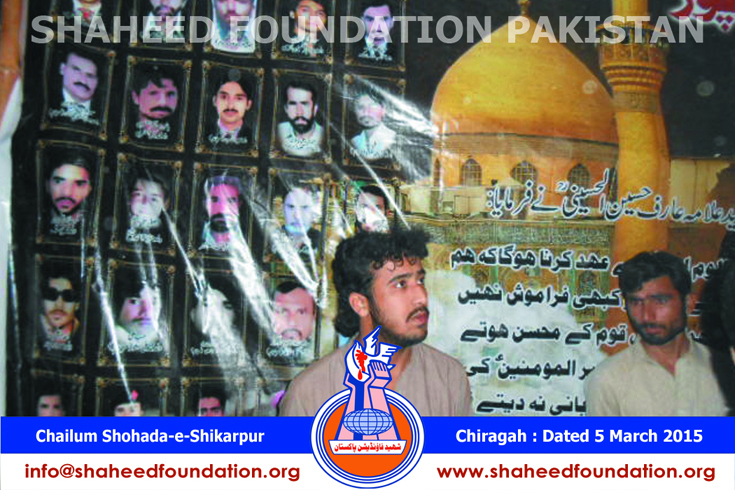 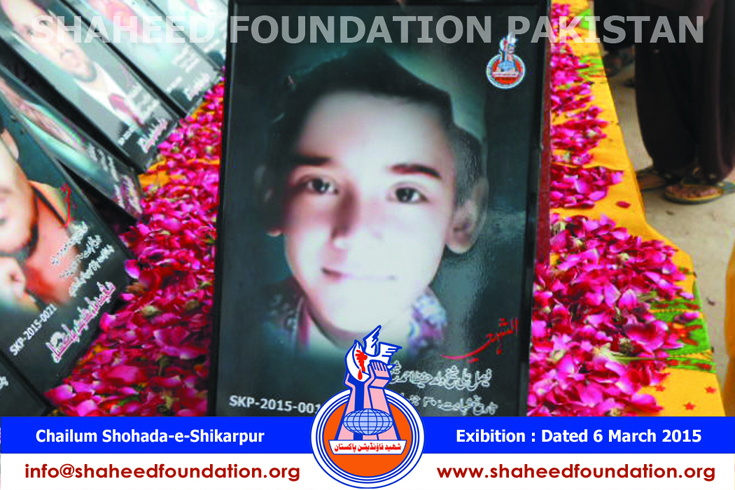 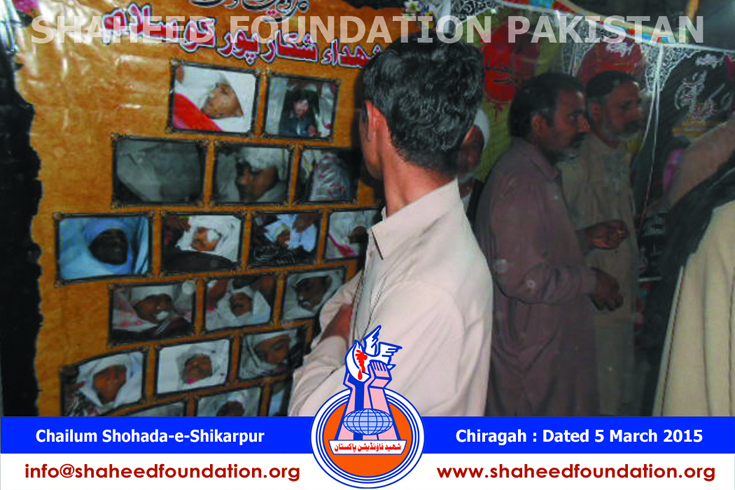 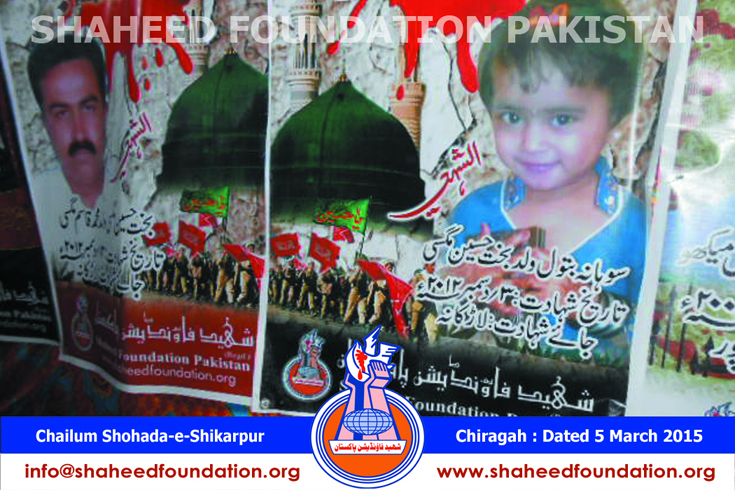 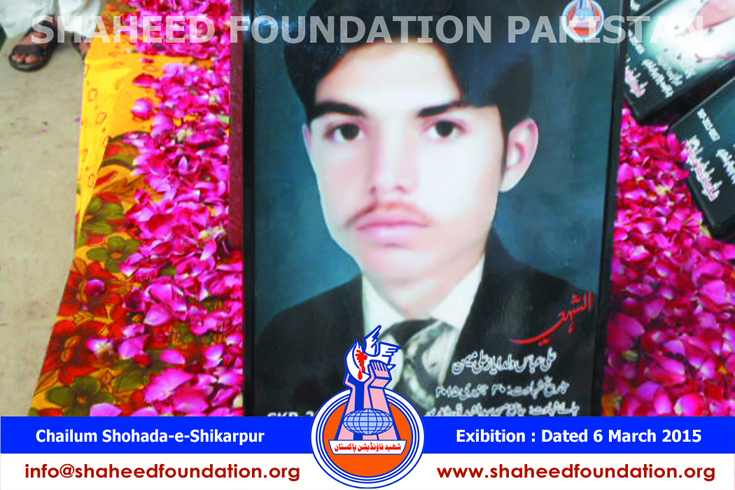 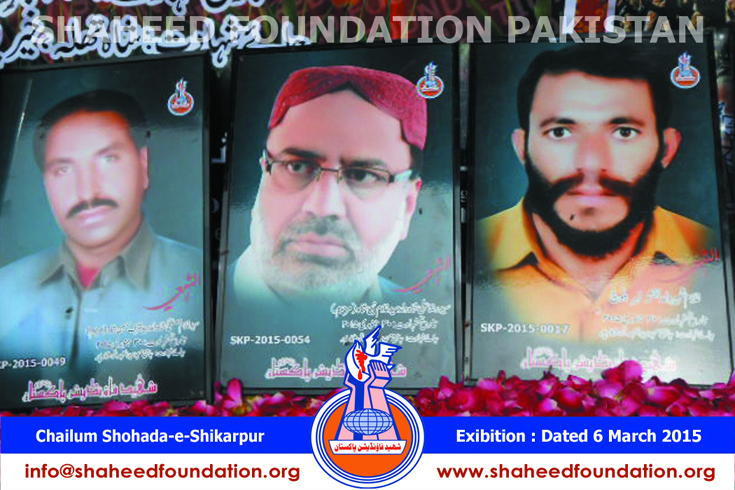 Chehlum of the martyrs of Shikarpur was held on 6th march, 2015 at 10 am under the auspices of Shuhda Committee, in the city of Shikarpur. 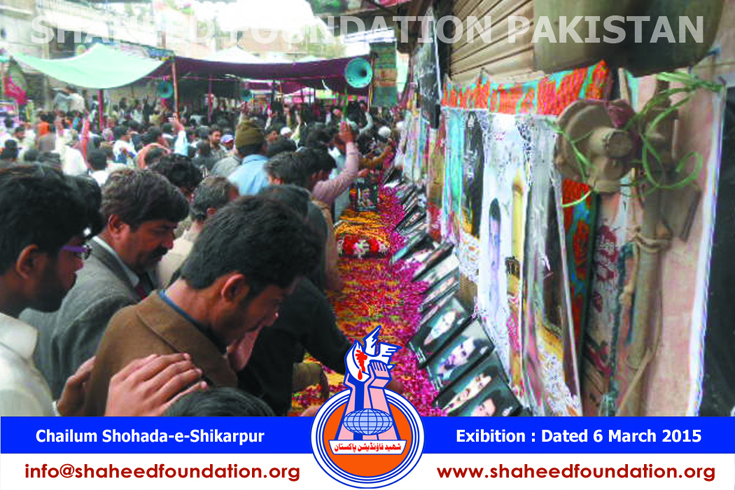 Local people and the people from the distant locations thronged to the venue of Chehlum in huge numbers to participate in the religious assembly in order to pay their homage to the martyrs. 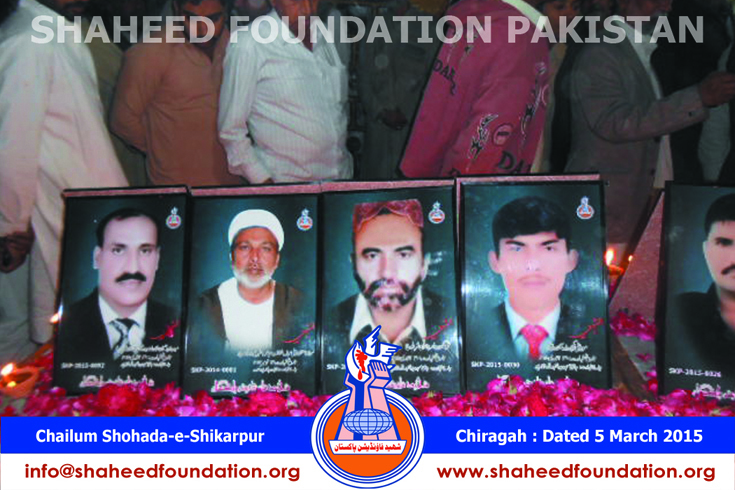 The presence of renowned clerics, religious and Mourning Associations in the Chehlum shows on the one hand that the dastardly violence by the Takfiri terrorists in the Juma prayer had grieved the people at larger scale while on the other the people of various backgrounds hold these martyrs in high esteem. 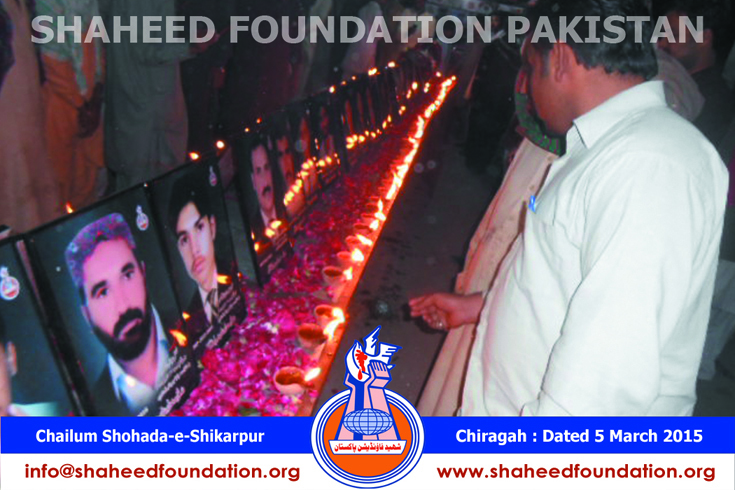 With this huge participation the people vehemently expressed their condolence to the families of the martyrs. 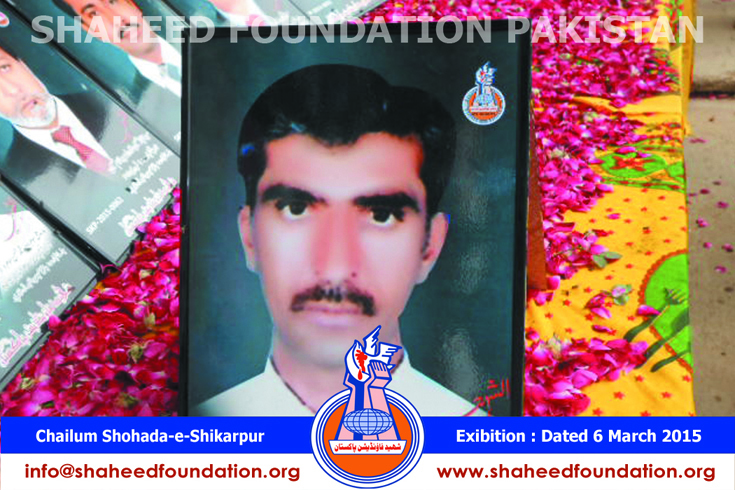 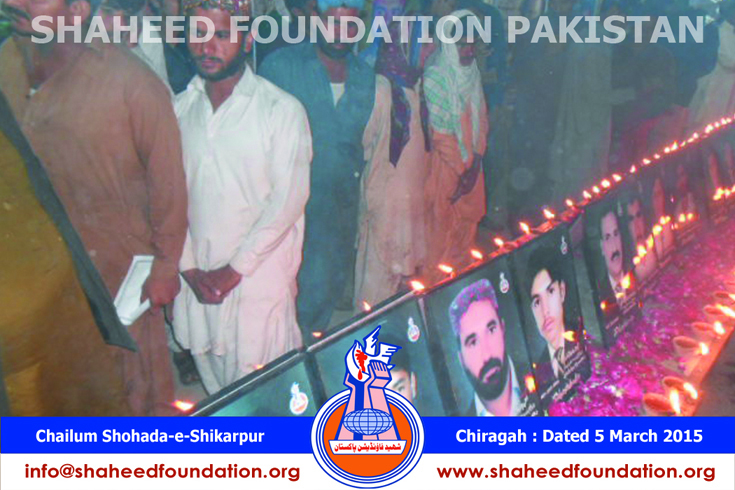 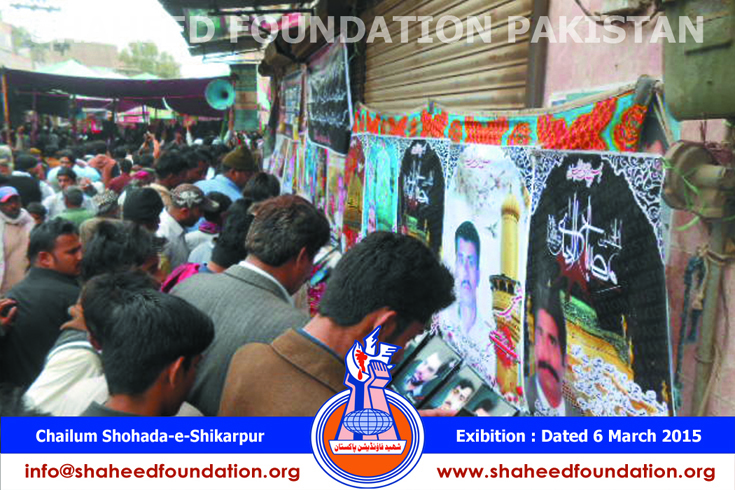 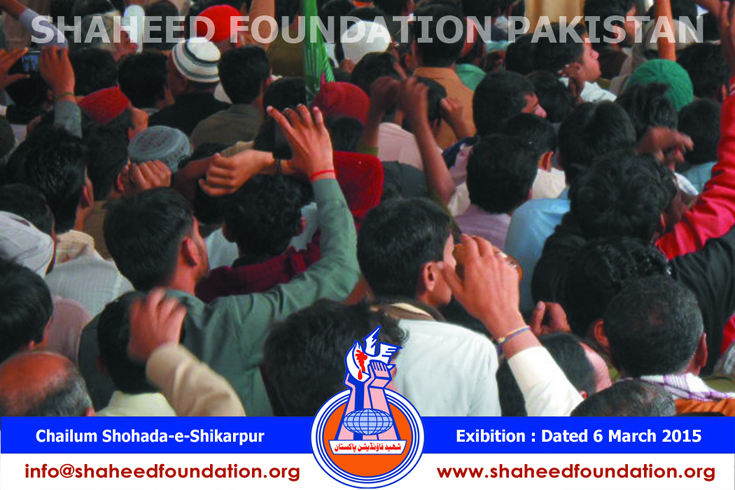 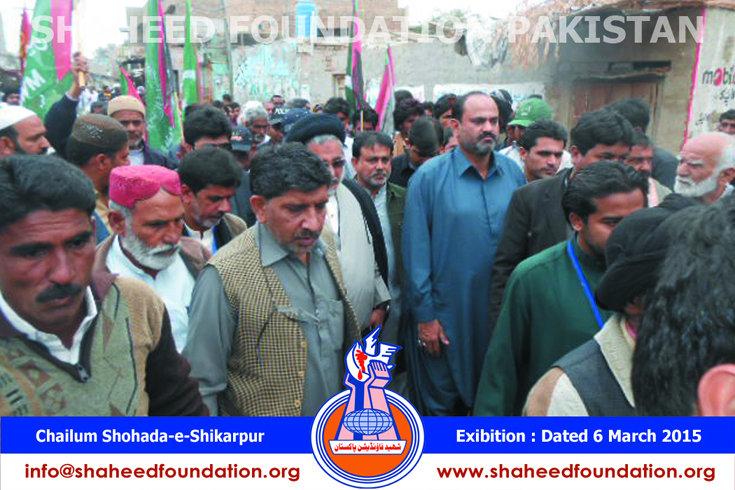 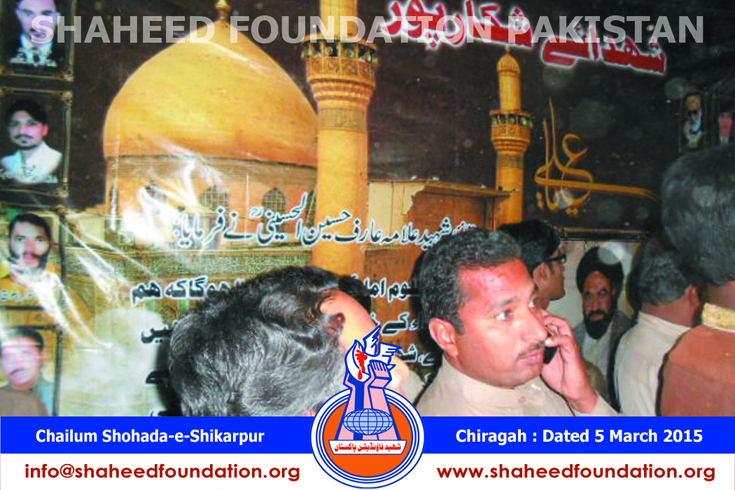 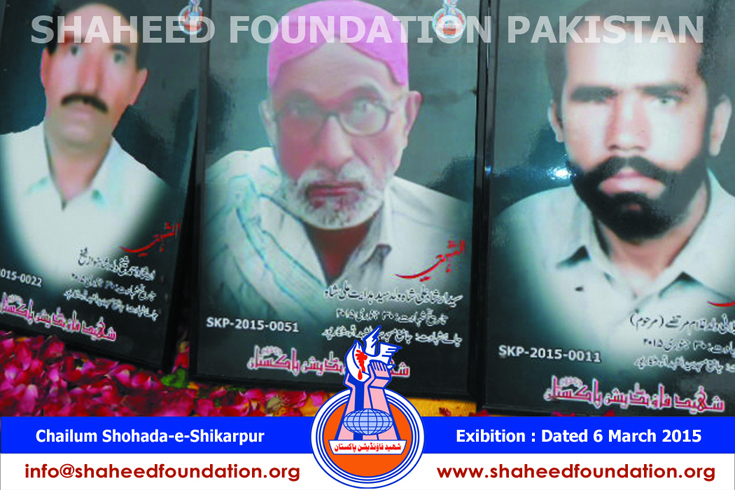 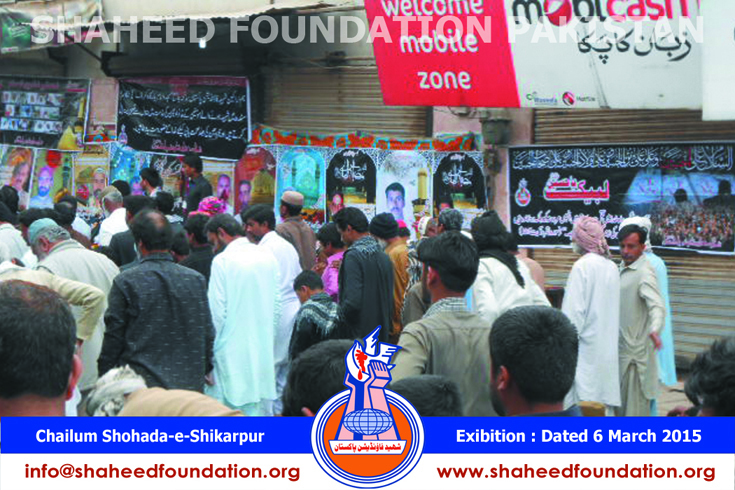 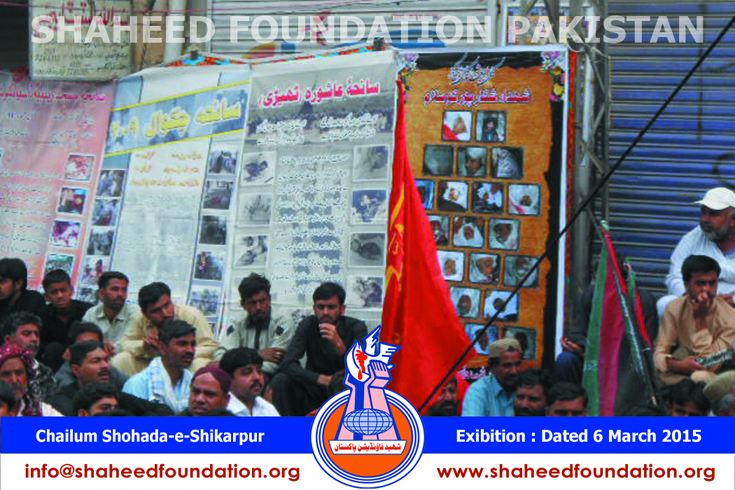 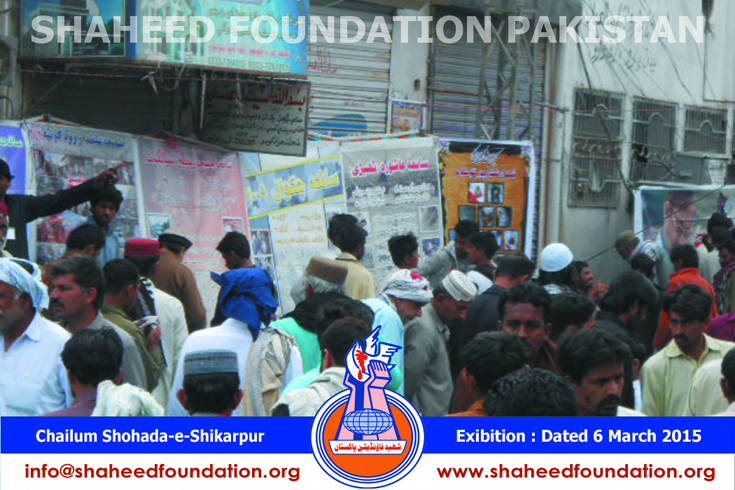 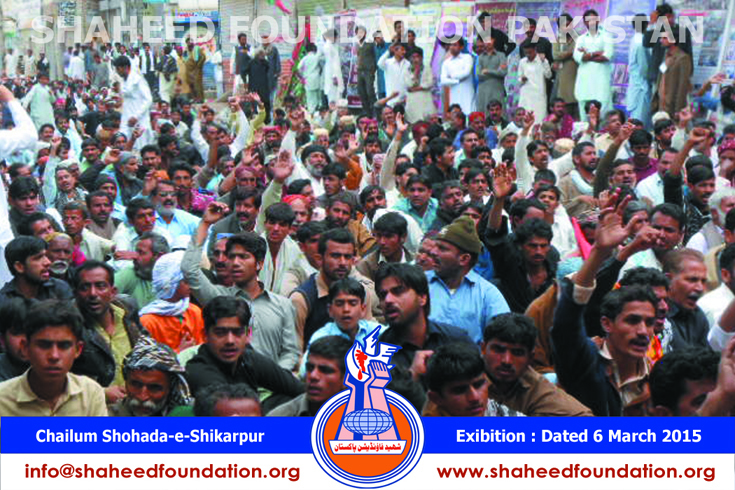 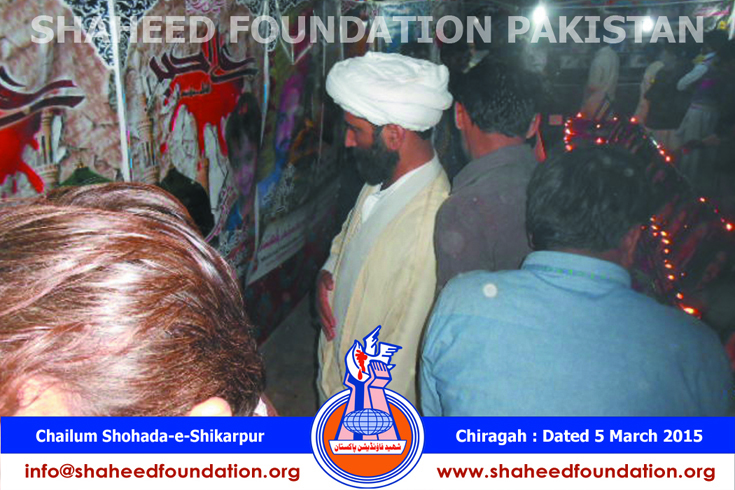 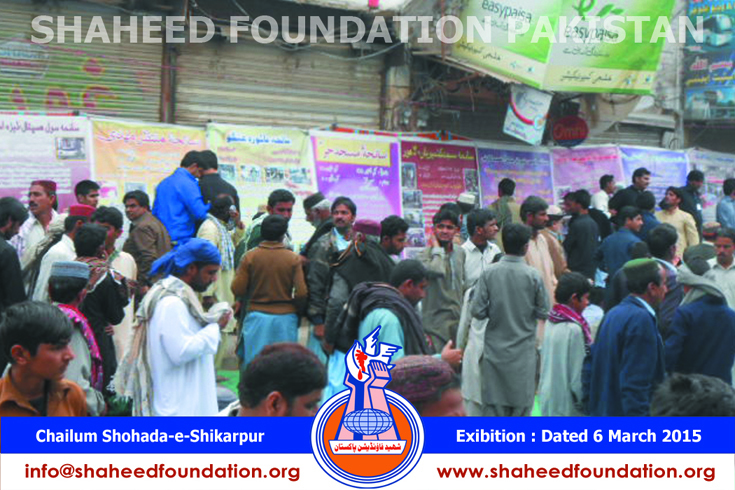 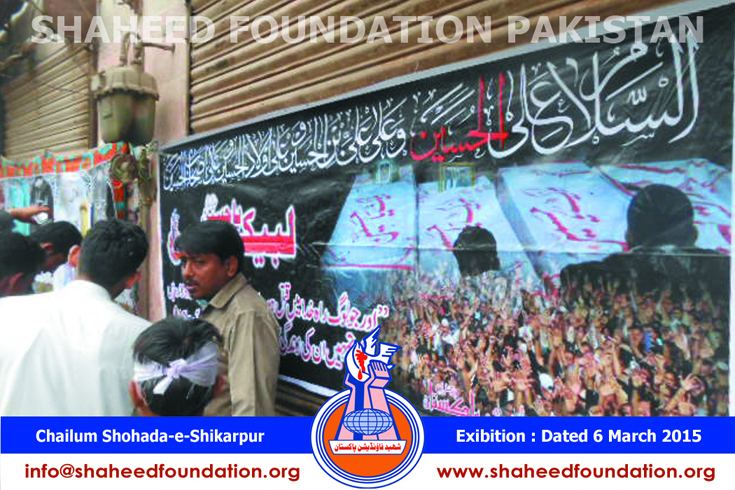 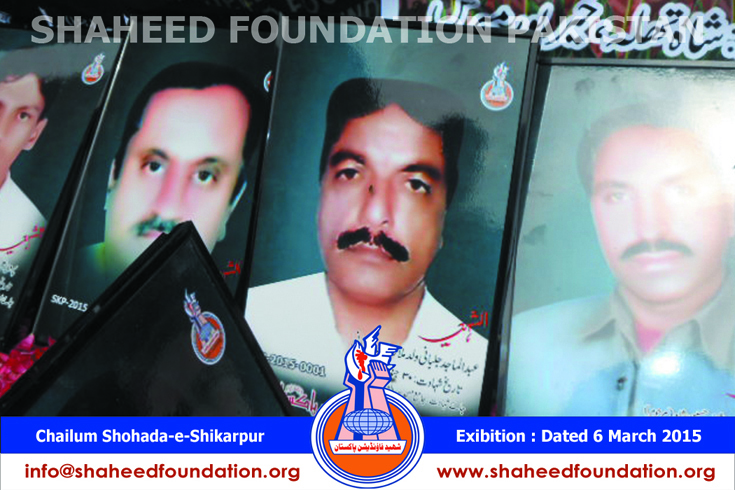 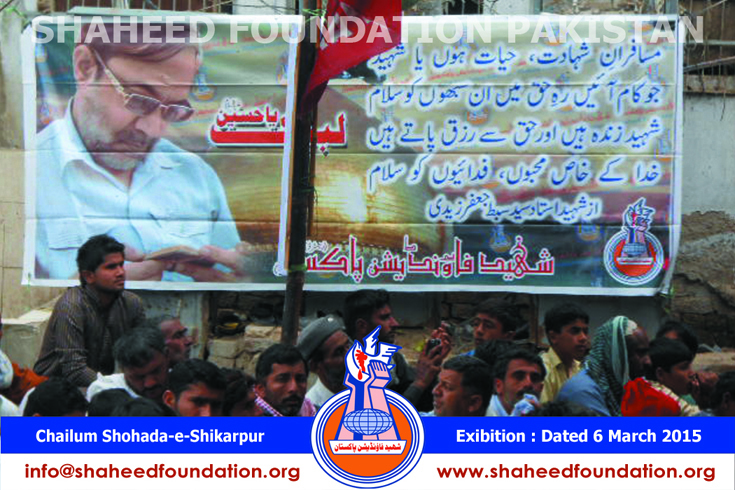 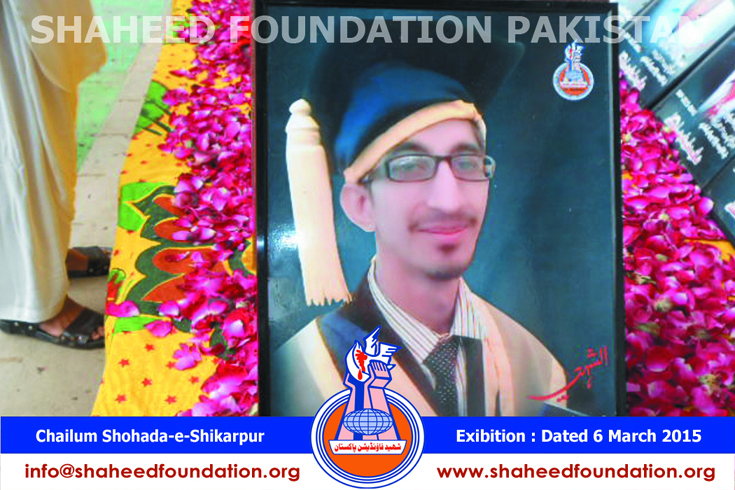 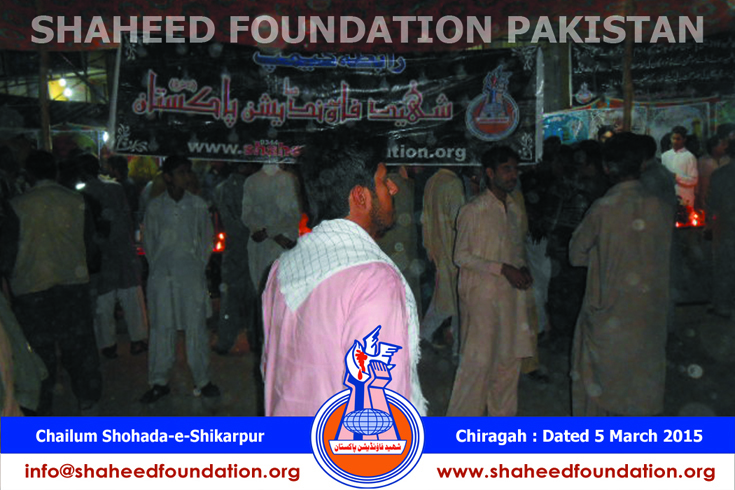 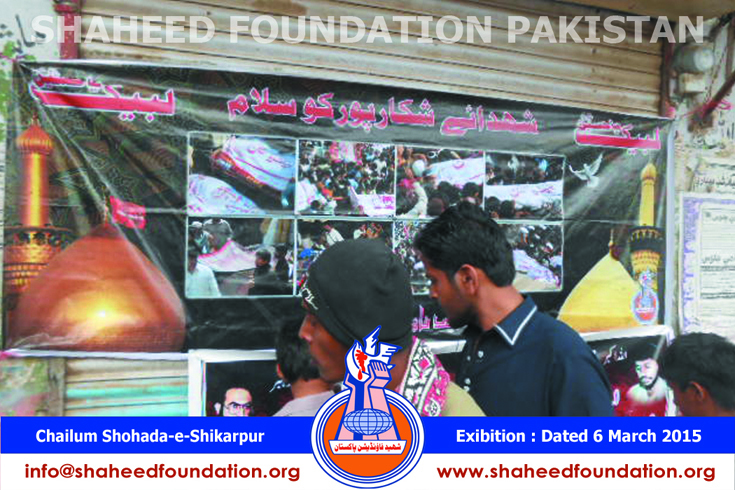 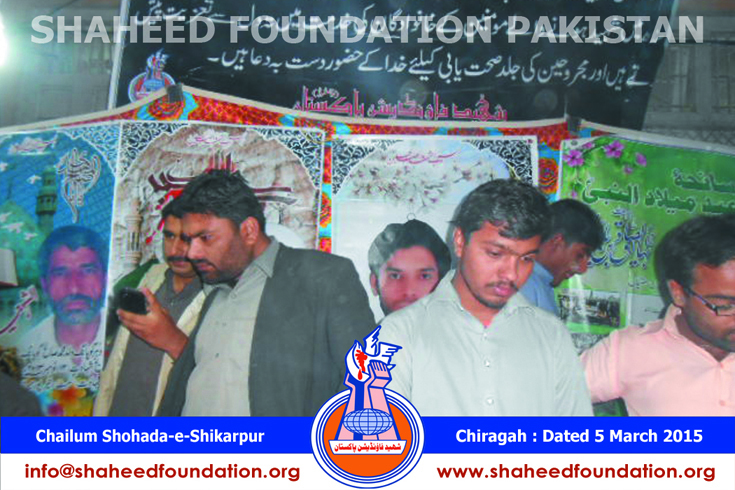 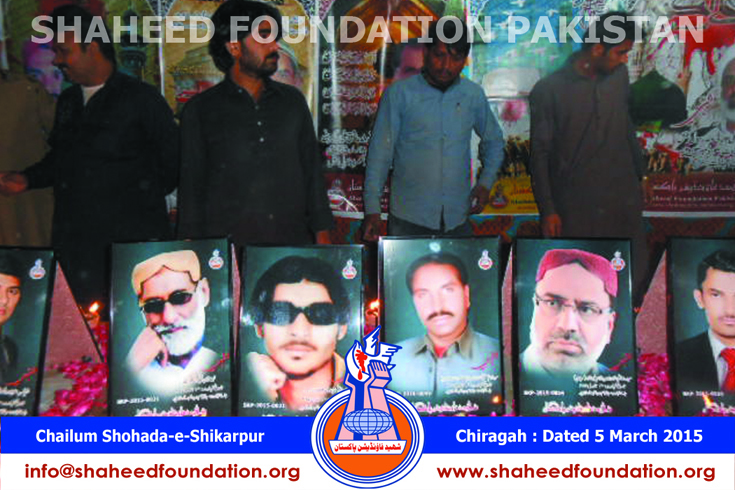 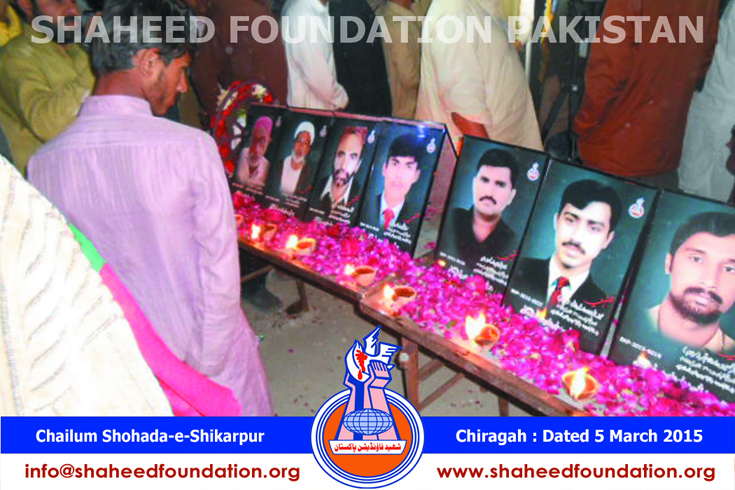 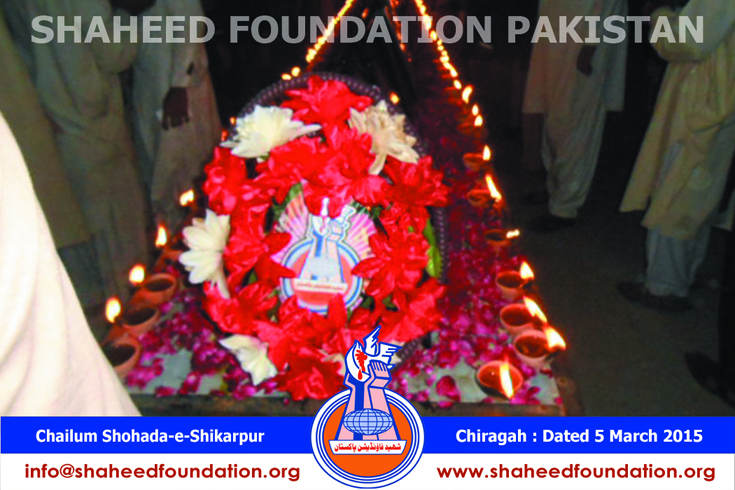 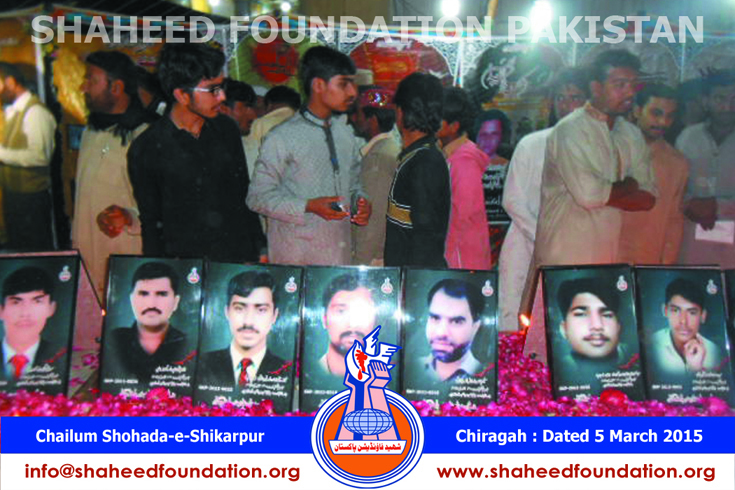 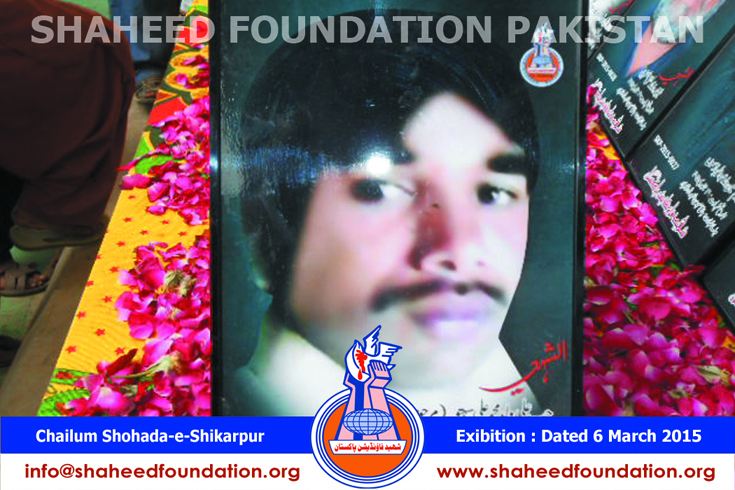 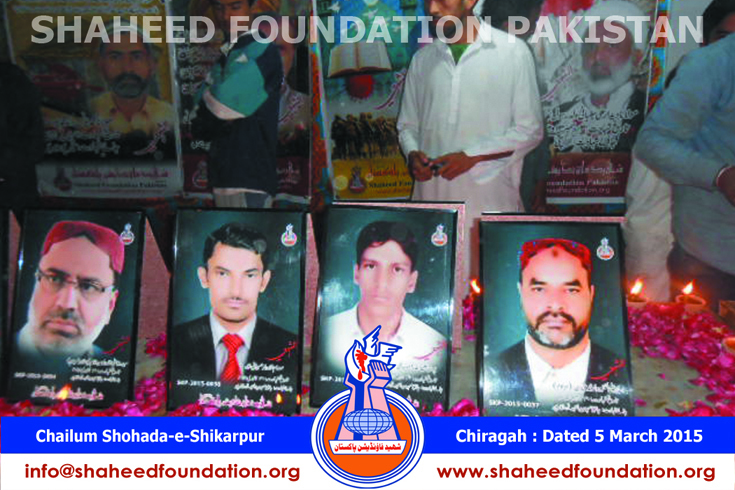 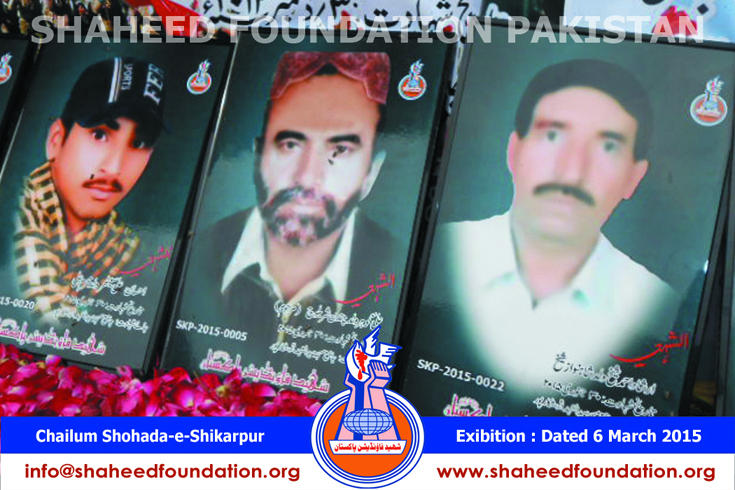 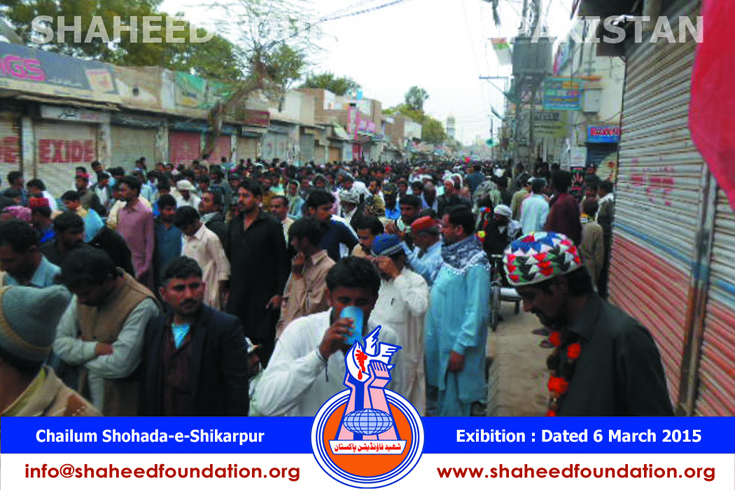 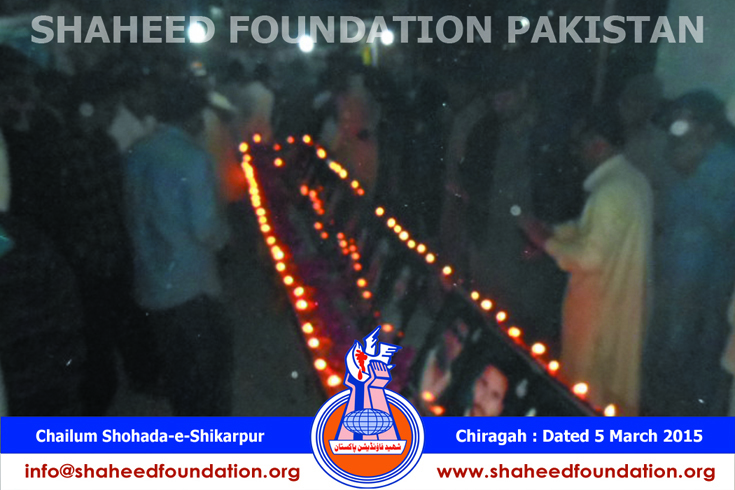 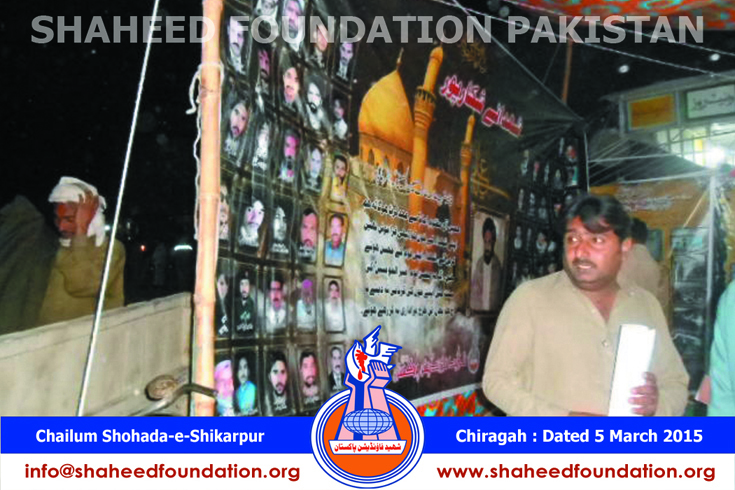 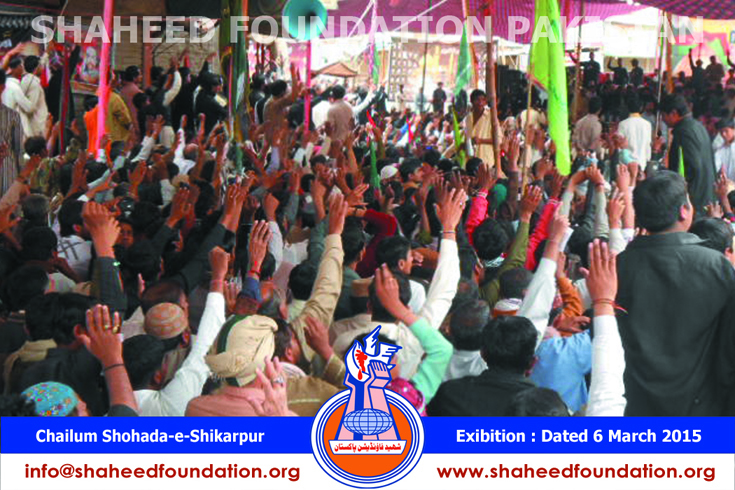 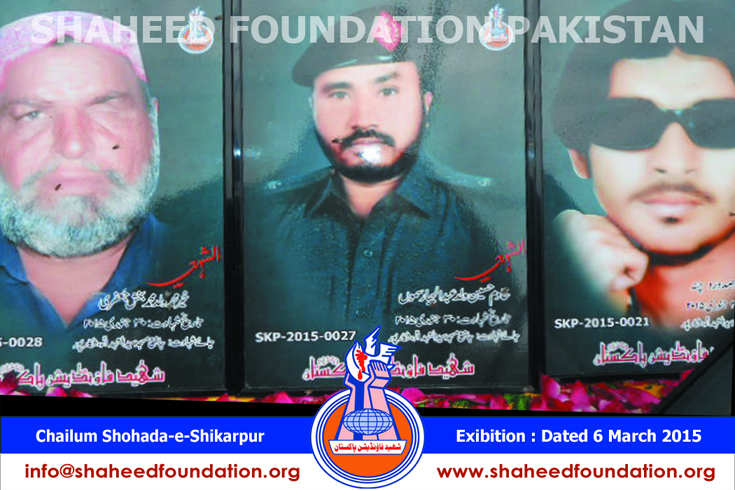 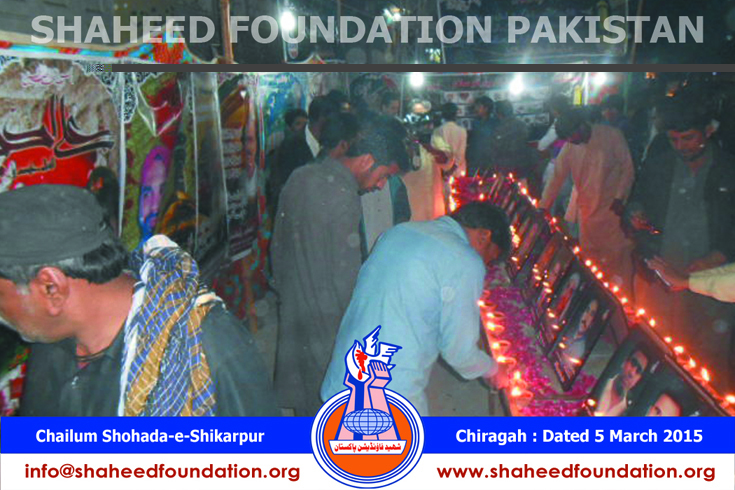 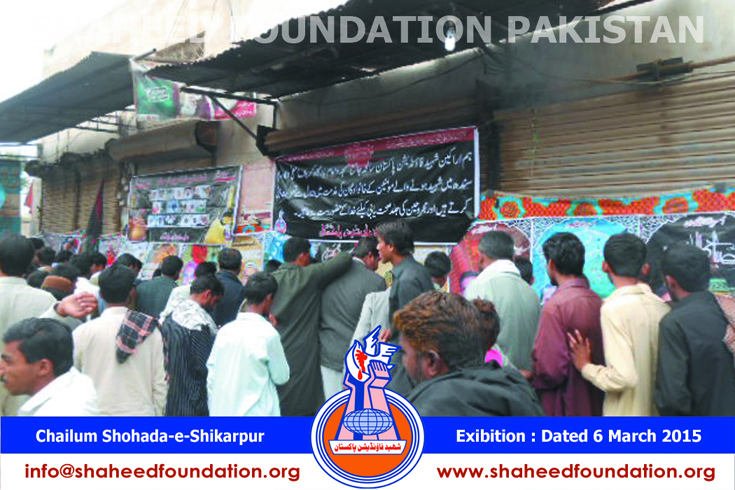 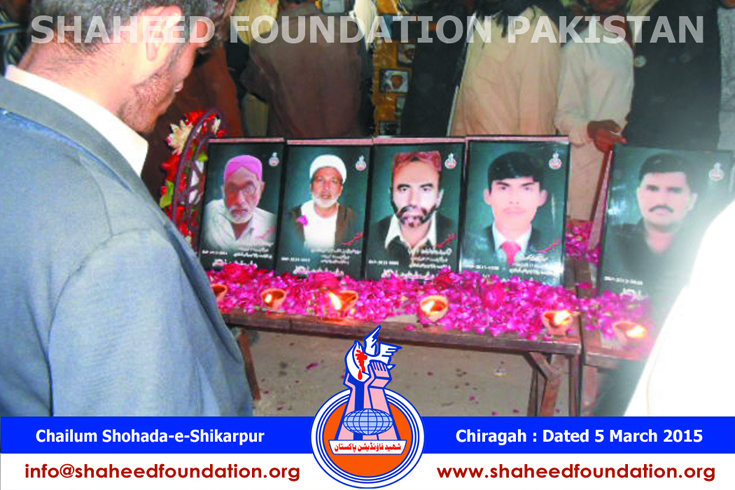 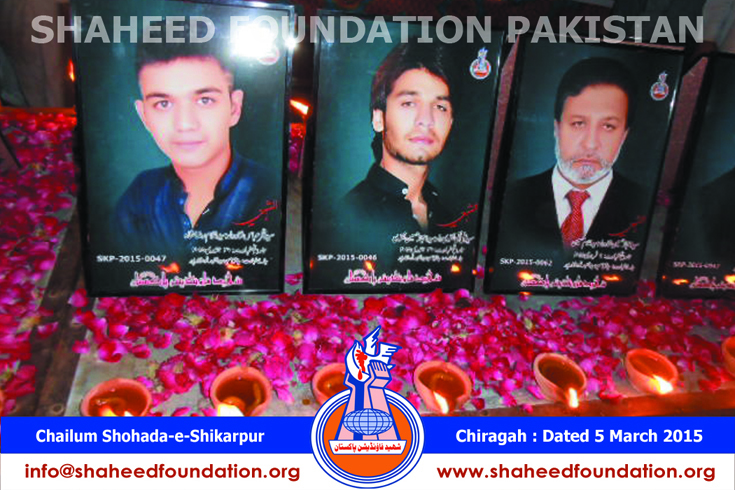 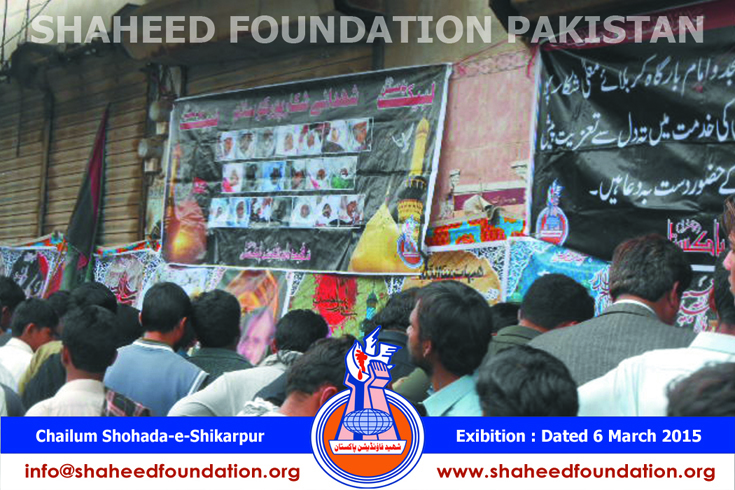 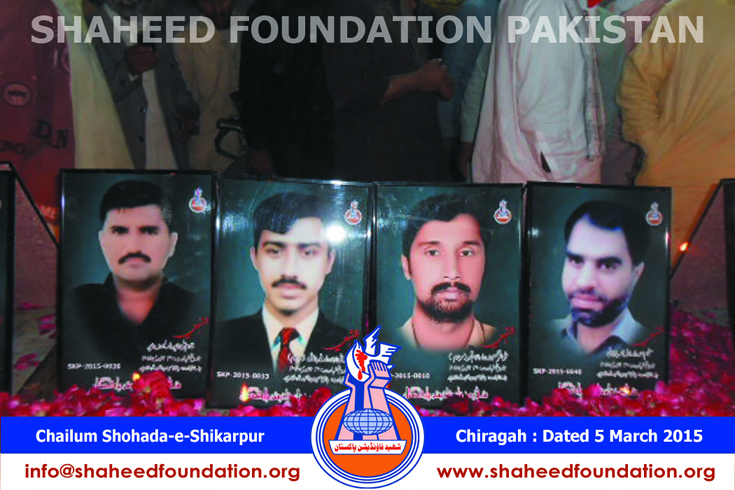 In the wake of the chehlum of the Shikarpur martyrs on March 2015 in the commemoration of whole martyrs of the Millat-e-Jafriya lighting and illumination program was organized at Ghanta Ghar Shikarpur by Shaheed Foundation Pakistan after Maghribain prayer in which the people of Shikarpur and the families of the martyrs took part in great numbers. 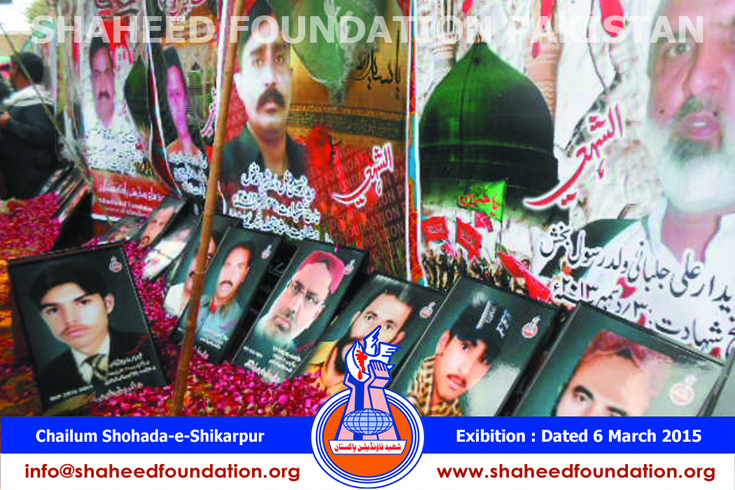 At the same time the scene of flower-pouring on the portraits of martyrs was highly emotional and grievous one. 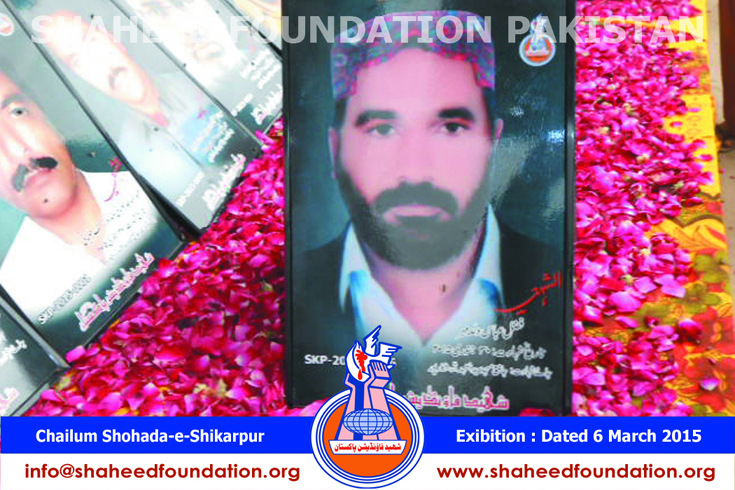 The keen interest with which the participants took part in these programs actually reflect the love of people they nourish for martyrs in their hearts. 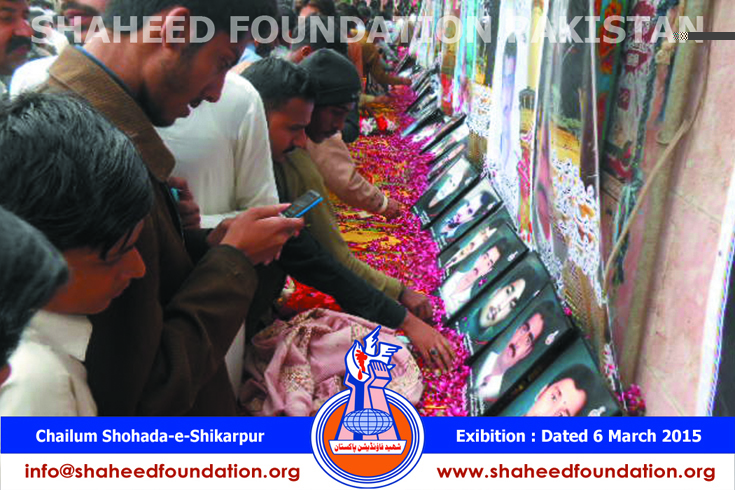 Even the head of the Shuhda committee mulana Maqsood Domki, a famous Shia cleric with the other members of the committee especially visited the Shaheed foundation camp for observing the exhibition of martyrs` portraits and encouraged the organizers while appreciating their efforts. 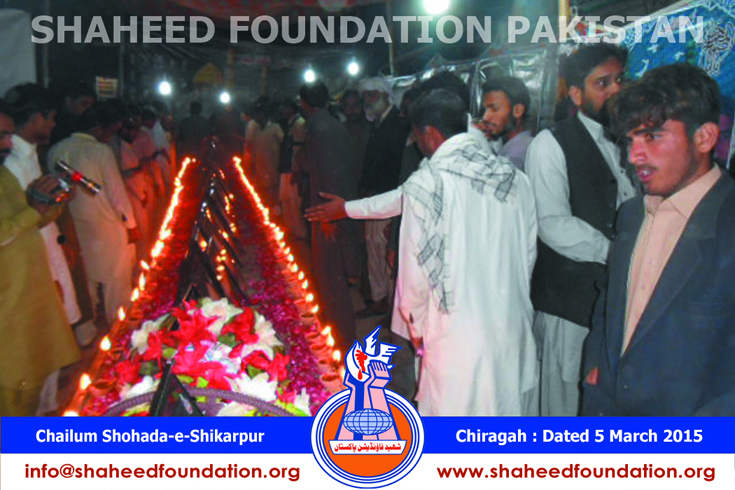 Simultaneously, the Fatiha offering for martyrs from time to time continued throughout the program. 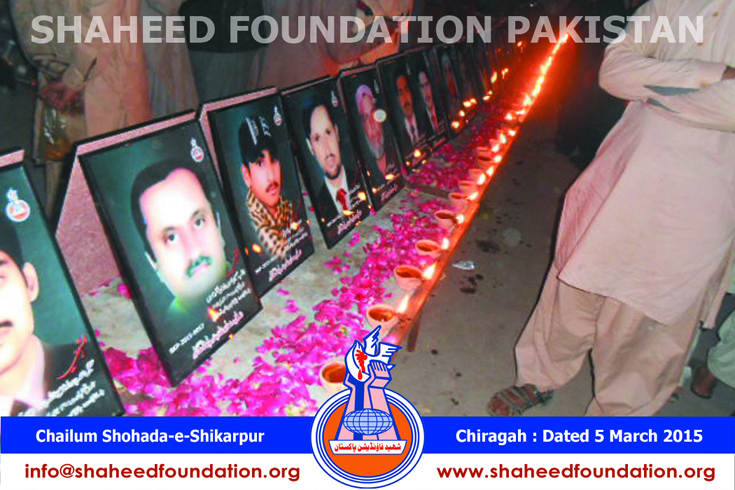 During the lighting program families of the martyrs were interviewed in which the families particularly realized the valuable and sincere works of Shaheed Foundation for generating the trend of honoring the martyrs of the millat.